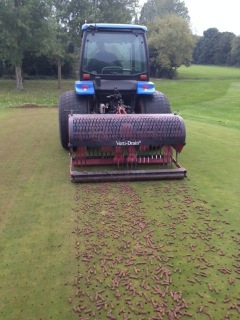 and can be used to cut greens in autumn / winter if required. There's a clue in the name, the fundamental difference is the cutting units for the finer grass and a more robust unit. 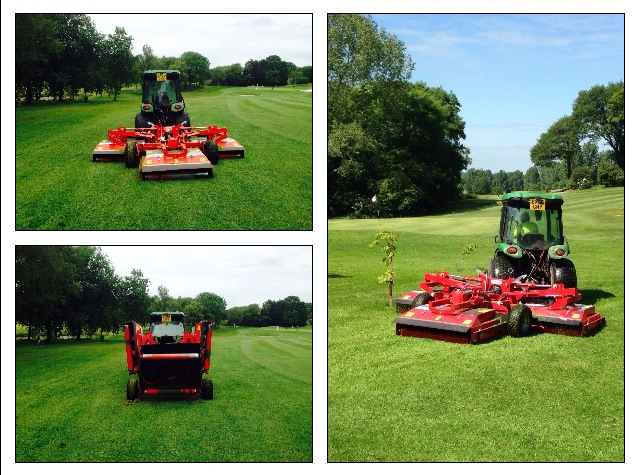 The rear cutting units move from side to side, for the first cut around the fairways and surrounds. 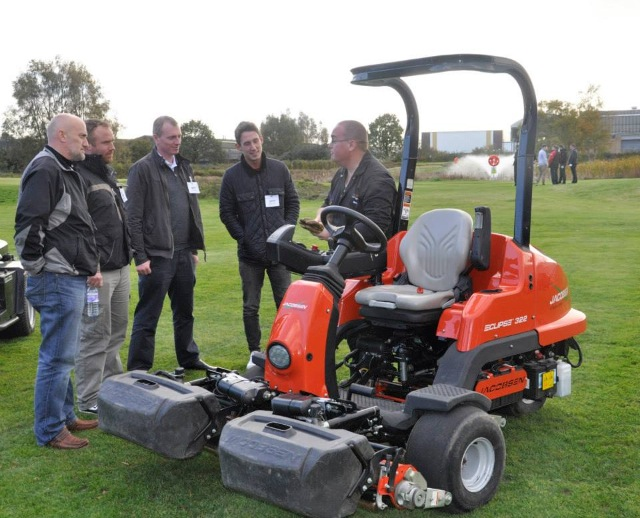 A representative from Ransomes and Jacobsen talks us through the benefits of the Hybrid Eclipse machine. 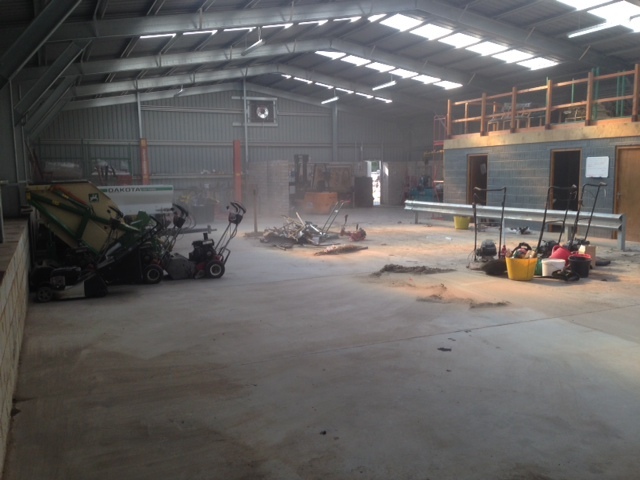 The new Training Centre has been designed with environmental protection and sustainability in mind. The focus has been on enhancing and reinstating key features of the local environment including restoring historic hedgerows and field boundaries as well as significant additional planting, an organic kitchen garden and orchard. 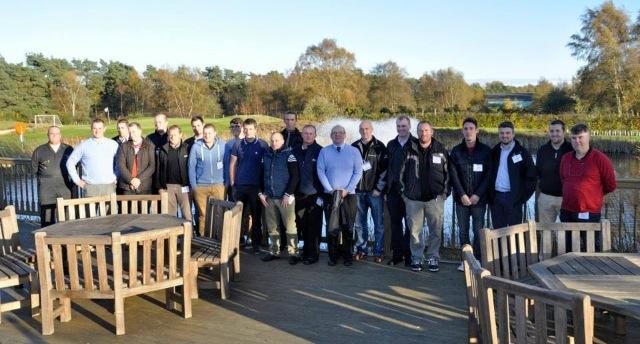 The Club has planted over 150 new and semi-mature trees and thousands of new plants, hedges and flowers across the site in order to establish and enhance the ecological habitat. 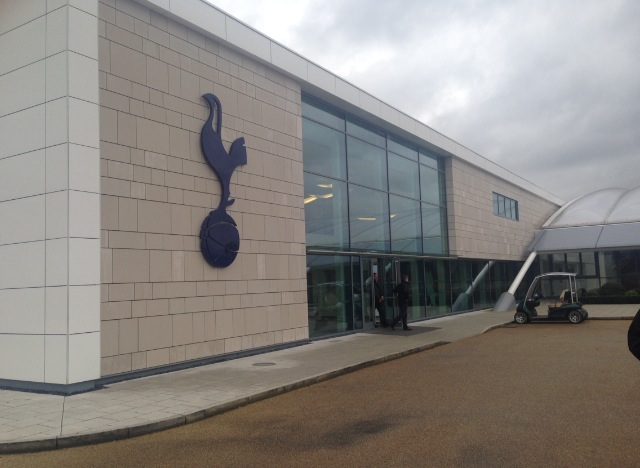 What a magnificent training ground and great hospitality, thank you Spurs. 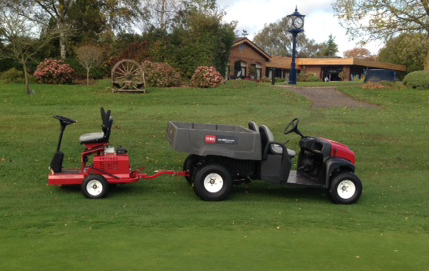 The third week in October saw Round 2 of our Toro machinery demonstration. I personally tried all of the demonstration models, and my favourite machine for pure impact to the course was the 'rough cutter' (groundsmaster 4500D) which completely changed the appearance of the rough. 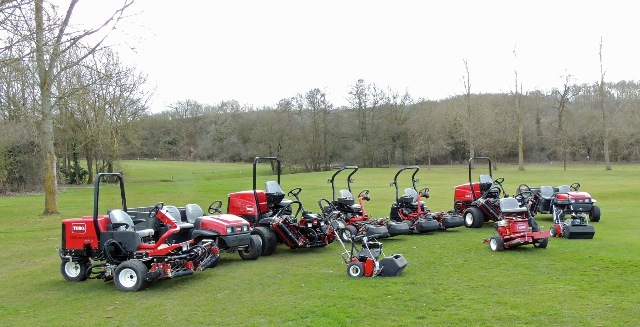 Range of Toro machinery on demonstration.. The calvary is here ! 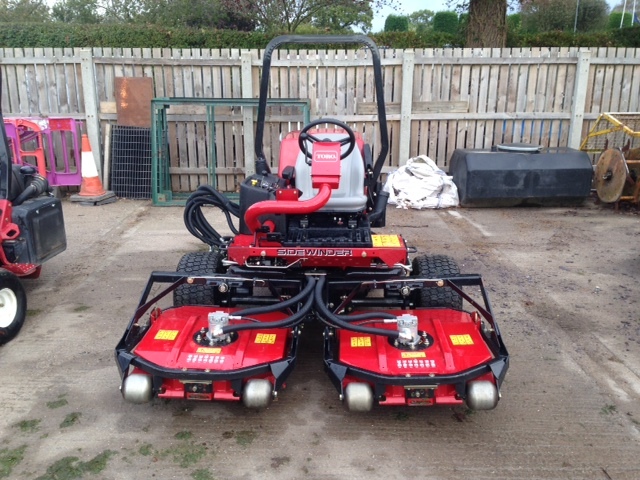 A great pedestrian mower with a flexible cutting unit suspension to help with any undulating ground. This machine is defintely on my wish list. 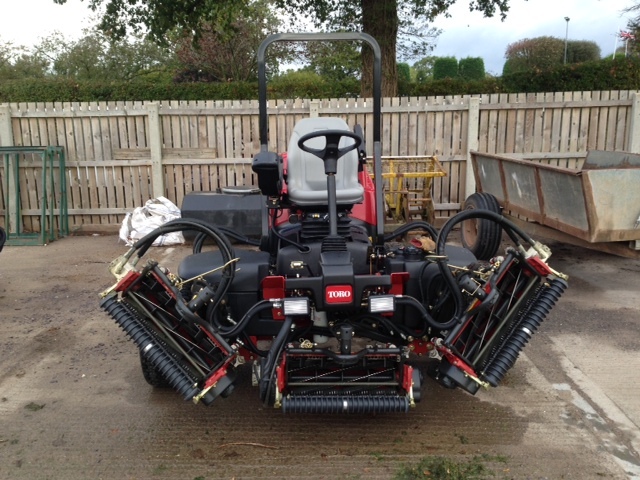 It's called a sidewinder simply because the cutting units can move to the side making it easier to cut the stubborn places such as ditches and around tees. 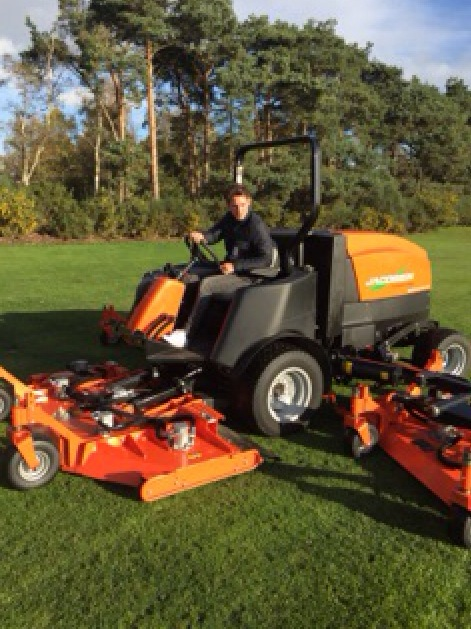 With its DPA cutting units the groomer, roller and brush accessories leave an impressive quality of cut. 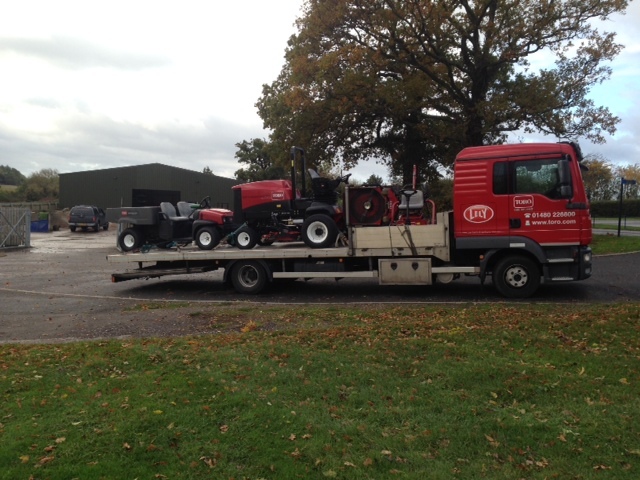 ......and then along came the 'Shed Fairy'........booooom !! 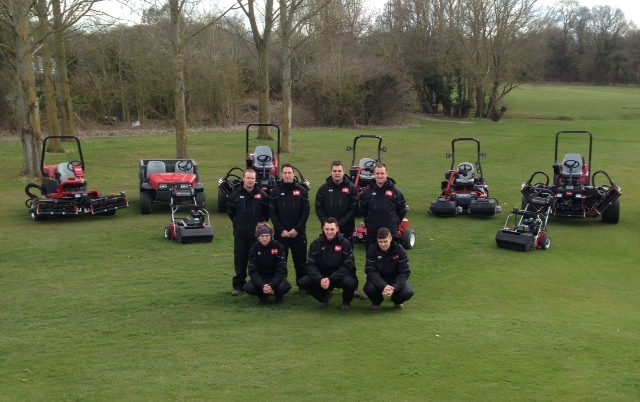 Theres no 'I' in team but there is in redditch golf club !! 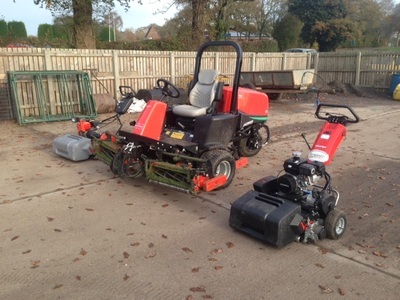 In these two videos we are demonstrating a bit of team work with our two new machines. What we are trying to achieve ? 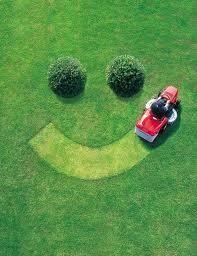 To maintain the height of the grass around the tree plantations to match the same height of cut as the rough. I said ...."SCREAM if you want to faster"
It certainly slithers it's way around the course... Our new Trimax snake..
"Snake is the accumulation of over 30 years of Trimax innovation, engineering and customer insight. 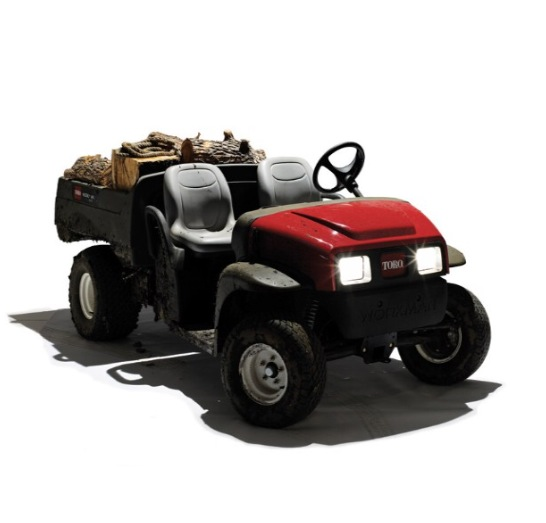 Designed for sports turf and golf courses, Snake has the unique ability to transform a variety of conditions into an even carpet of green. 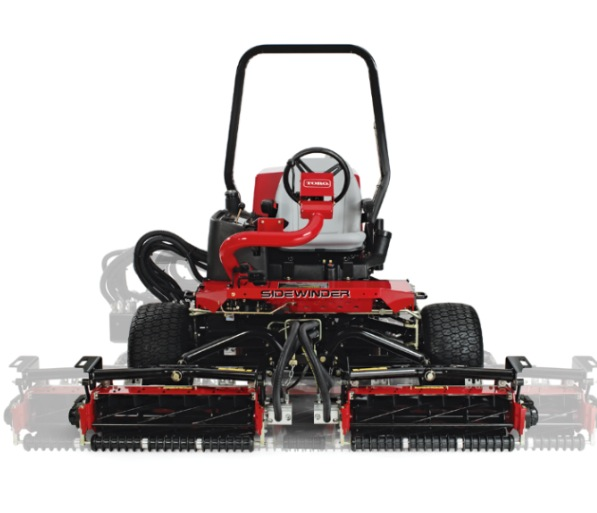 We've seamlessly combined our world class cut quality and have added articulation capabilities never seen before on a Trimax Mower. 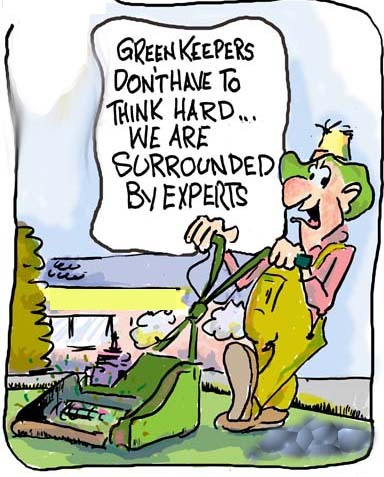 We believe that what we've created is the best sports turf rotary mower in the world. 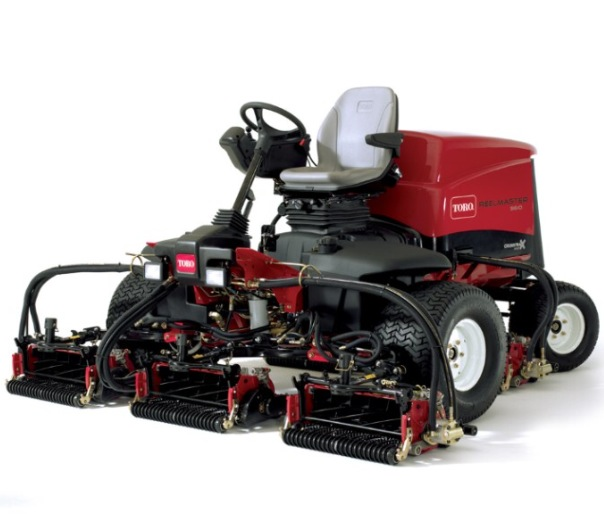 Built for agility, as tough as nails and an incredibly versatile mower, the Trimax Snake won't fail to impress. Snake owners benefit from a proven 3 year warranty and genuine Trimax support." 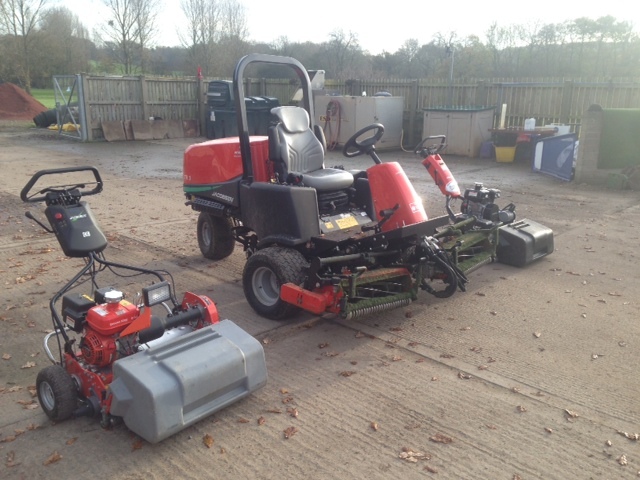 We had a set of Lloyds gang mowers originally a fantastic piece of kit but sadly time came for a upgrade. 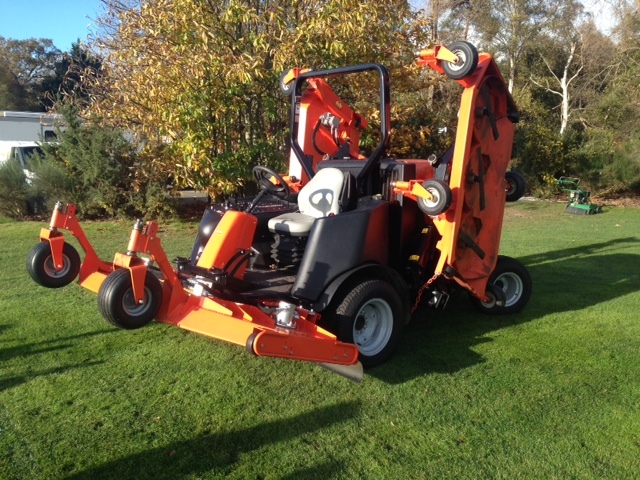 The Trimax Merlin (below) which we had on demonstration for two months. 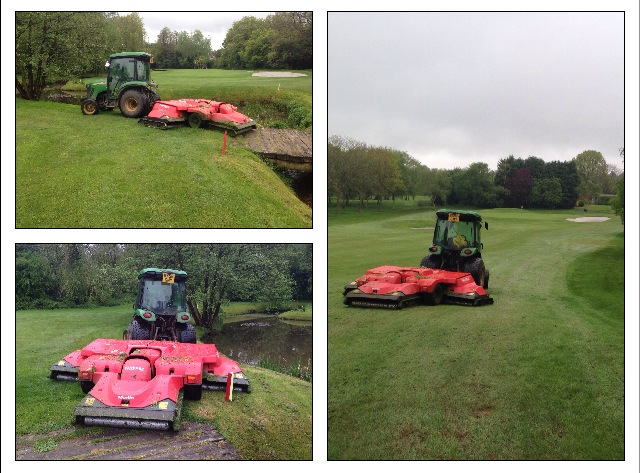 The new rotary mower has drastically improved the courses presentation in my opinion. The definition between fairway and rough is the best I've seen. My verdict is that both of these machines are equally as good as one another. However, as Redditch Golf Club is a mature course with many trees, we found the snake just handled that much better in our environment. 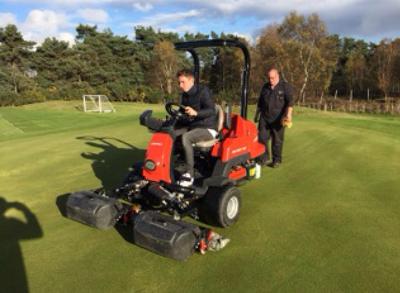 Here's simon on our brand new ZERO TURN rotary mower, which we've named 'Sally'. Simon came up with the name Sally, taken from the music legend Wilson Pickett's song. Fair play Si, I have a lot of time for this. 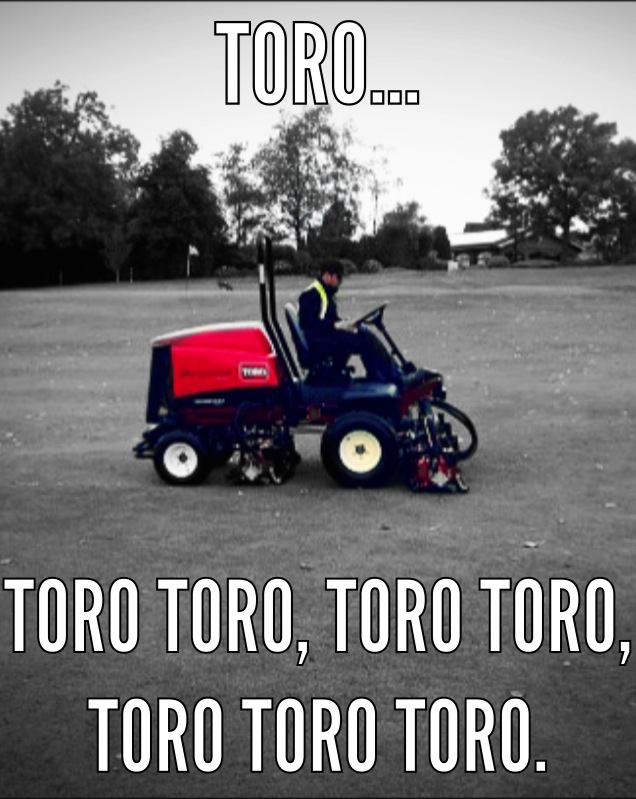 Every machine should have fitting name. 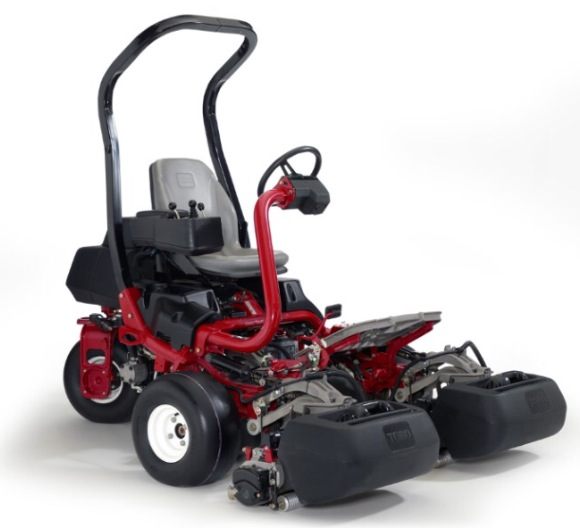 The Zero Turn sit down is the most manoeuvrable mower for its size. 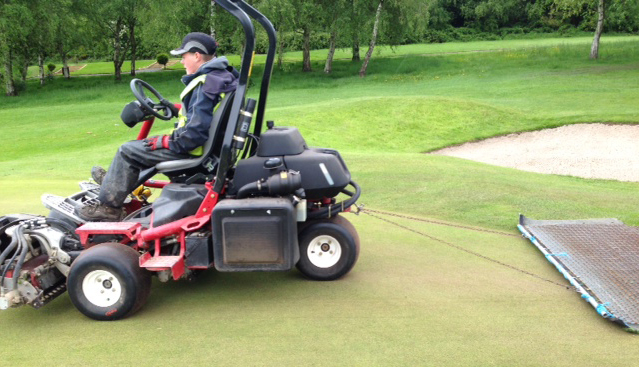 With a small cutting width the Zero Turn Rider is very versatile and can cope with very tight areas and fast enough to cover large areas at speed enabling high output per hour. 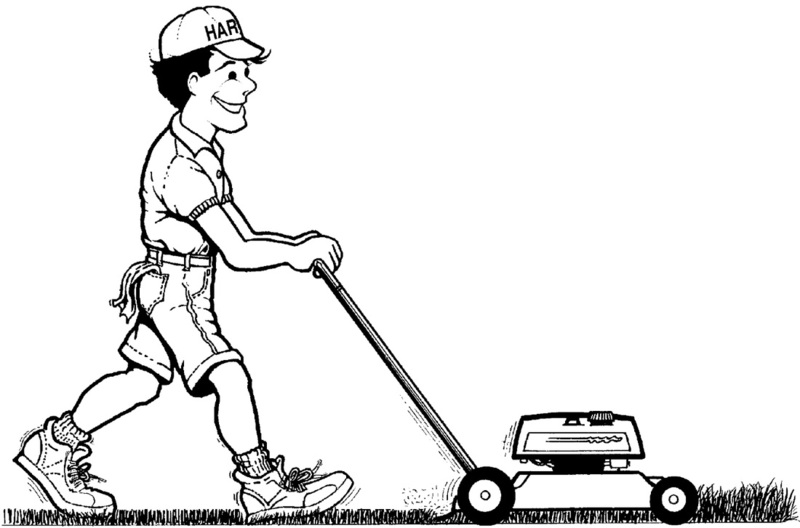 They work well on slopes and gradients but are not classified as a bank mower. 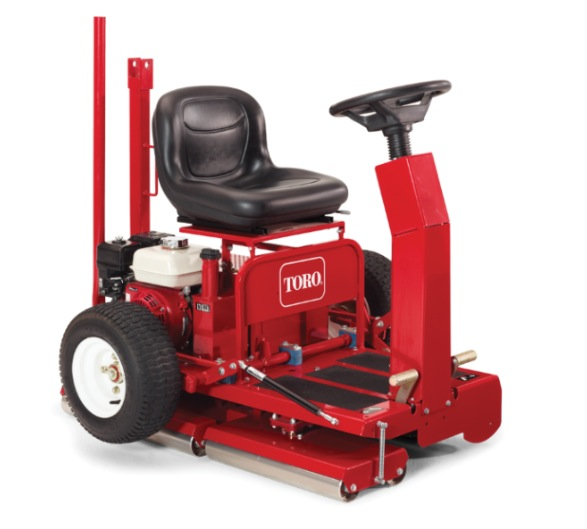 Although they do have a very low centre of gravity and are more stable than tractor style machines.The Stand on Zero Turn Rider mower has now been around for 15 years. There are now nearly 10 manufacturers offering this design. Ease of Dismounting to remove objects and litter. Minimum amount of trailer space required for transportation. 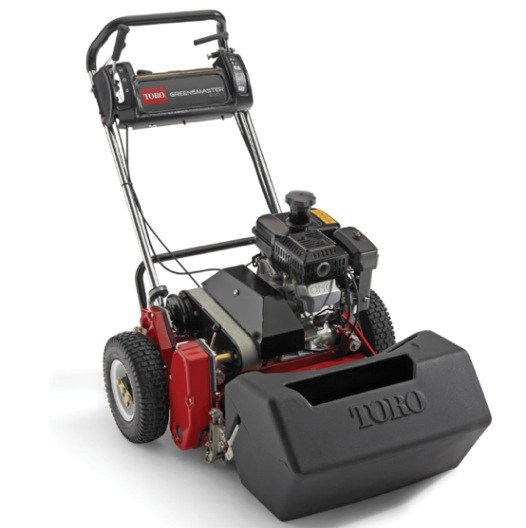 With cutting widths ranging from 36" - 72" the Zero Turn Rider is very versatile and can cope with very tight areas and fast enough to cover large areas at speed enabling high output per hour. I will try and make sure by the end of the month I have a video of Simon showing off his skills. forgot the bottle opener....no worries, just watch next doors conservatory !! 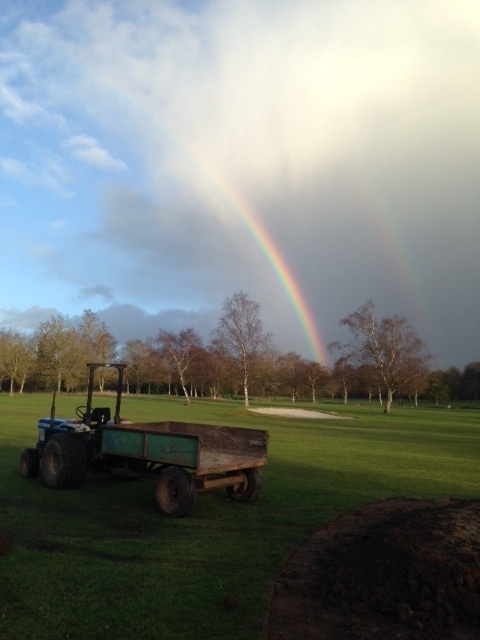 I asked Phil our Head Greenkeeper, what was at the end of the rainbow ? He said, " The Rose & Crown, I think !" Same joke different pub.............. I know ! !